Born in St. John’s, Newfoundland, Jean Marshall worked as a teacher and later as a social worker. In 1979 after moving from B.C, she started a hand knit cottage industry designing for Ontario companies and her retail store in Stratford. Later she returned to teaching and pursued further education. University of Western Ontario, Linguistics graduate, 1995. In 2005 she began painting & soon used her love of one art to influence another. In 2008, she travelled to Italy and France where she studied privately under Madame Monique Faillard, and later took various art courses with the AGO. Her paintings can be found in Japan, China, France, Germany, Holland, Australia, United States and in many Canadian cities. 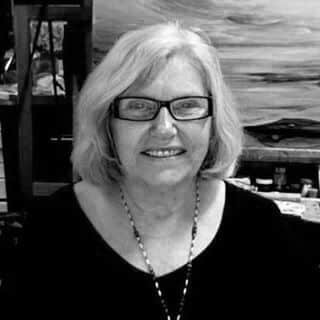 Jean’s paintings are diverse with “seascapes, still life, abstracts, and landscapes.